In the beginnings of his career, he was teacher of pharmacology to the university “Federico II” of Naples. In 1883, he decided to abandon the teaching, to devote himself to the medical profession. Indeed he began to work at the Ospedale degli Incurabili. 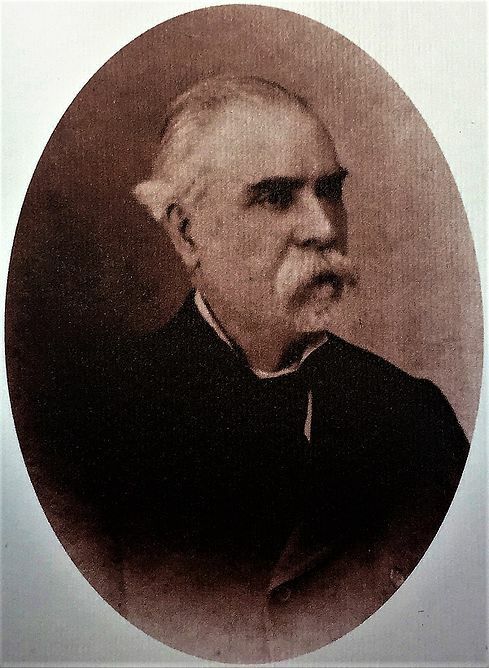 Giuseppe Ria was a meticulous doctor because he was extremely attentive to the health of patients and he wanted the diagnosis to be as reliable as possible. Besides, he had a strong sense of humanity that accompanied his communal spirit. Furthermore he encouraged people to support the diseased and not to marginalize them as the society used to do. He fought the cholera outbreak in Naples in 1865-67. During this period, he developed a new theory according to which this illness occurred in the air and it would manifest itself only if the hygienic, dietetics and atmospheric conditions had been favourable to its spread. Furthermore, to try to understand the cause of these phenomena, he hypothesized a fourth underlying cause, to which he gave crucial importance: this was the moral, the attitude. He intended it as the fear people had of this illness, which brought to the manifestation of the illness itself.